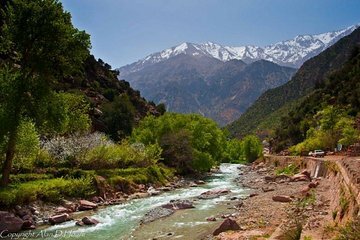 Located in the High Atlas Mountains, the Ourika Valley features plenty of scenic vistas and picturesque landscape that you can catch on this private all-day trip from Marrakech. Visit a traditional Moroccan household for a simple breakfast with bread, butter, honey, and olive oil and a tea ceremony. Then, hike to the area waterfalls.